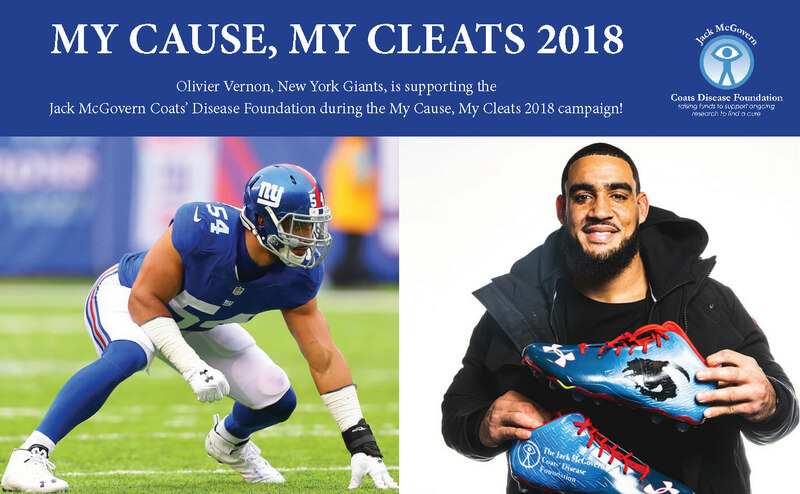 Thank you to New York Giants’ Olivier Vernon for supporting the Jack McGovern Coats’ Disease Foundation through My Cause, My Cleats. His continued support year after year is helping to raise awareness of Coats’ Disease! If you can, please take a minute to read this article about why our Foundation is close to his heart.